UNK SEZ: Why can’t there be more artists/filmmakers/composers like DANTE TOMASELLI (DESECRATION, HORROR, SATAN’S PLAYGROUND and the forthcoming TORTURE CHAMBER)? Here is a guy who absolutely follows his own macabre compass and the results are always fascinating. He is a devout horror fan and yet is able to avoid the pitfalls of pastiche by fearlessly diving into the darker waters where many of his contemporaries meekly wade. 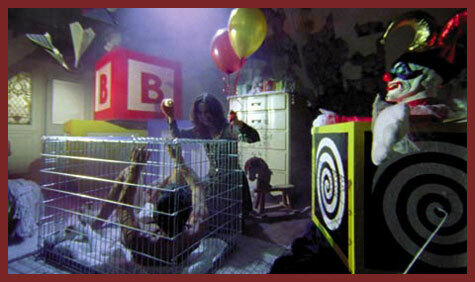 UNK: Your latest film TORTURE CHAMBER centers around a possessed 13-year-old boy. Can you tell us a little about the film and the ideas that inspired it? 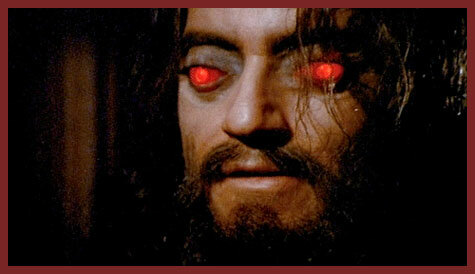 DANTE: I needed to conjure a psychedelic demonic possession horror film. I needed to fill the film with an atmosphere of disintegration and decay. And beauty. Beauty and horror…different sides of the same coin. I saw the glowing, sinister images like slides projected in my mind. These images came from the deep pit of my unconscious. This was the netherworld I needed to explore. 13-year-old Jimmy Morgan is a pyromaniac and disfigured from experimentation with drugs. His mother is blind due to an accident involving Jimmy and a shard of mirror glass. God-fearing, the woman believes her son is possessed by a demon. Jimmy’s older brother is a Catholic priest who tries to exorcize him. Sometimes they keep Jimmy in an animal cage. This is a religious family in deep psychic pain…bathed in guilt and sin. When Jimmy escapes from a mental institution, he discovers an old abandoned castle with a secret passageway to a cobwebbed torture chamber. UNK: What is the first horror movie or TV show that you remember being really scared of as a kid? DANTE: Horror Express. It was the mid ’70s. I was 5 and on my parents bed, burning with a high fever, hallucinating. I was all alone in the room and on T.V. was the Spanish film, Horror Express. The Jesus-like figure with glowing red eyes pushed a deep button in me. I was absolutely terrified. I was freezing. It was not a good feeling. UNK: As someone working within the field of horror how much do you think your childhood experiences with fear influence your work today? DANTE: My films are about…the reverberations, or psychic reverberations…of childhood trauma. The gradual realization that something truly blasphemous is happening or happened. The unfolding. The peeling back layers of pain buried deep in the unconscious. The interior journey. I was a frightened child, as were many other children in this world, of course it’s all relative. I was a happy kid too, definitely, but there was so much inner sadness. This sadness dominated my world unconsciously because my dreams were…endless nightmares…endless. UNK: Can you give our readers the names of three horror films that you think are vastly underrated or deserve wider recognition? DANTE: The House of Whipcord by British director Pete Walker. It has the kind of circular storyline that I love and it creates its own unique world of ’70s paranoid madness. 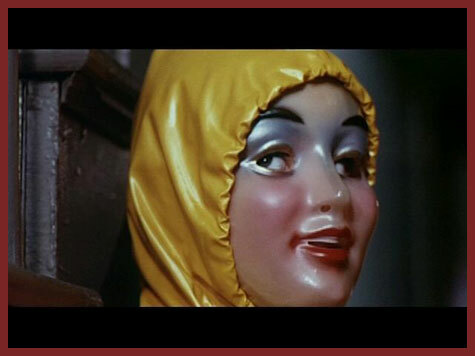 Let’s see…The House With Laughing Windows by Pupi Avati, another ’70s shocker. It’s an Italian horror movie about a religious painting in a church that holds gruesome secrets. The ending is shocking. And there’s a film by David Cronenberg that is underrated in my opinion, The Brood. I’m in awe of The Brood. Children of rage. UNK: The Earth has been destroyed. Aliens have offered you an escape ride on their ship but you can only bring one horror movie with you. Which film do you bring? DANTE: Alice, Sweet Alice. My cousin, Alfred Sole, directed this movie and I love every square inch. It’s mysterious. That mask! It’s an ethereal movie you can revisit over and over and find new interesting details. Plus of course, there’s the nostalgia I hold for this film. I remember all the promos hanging around our house. I was only 6 or 7. The promo ads had a white-veiled little girl in a Catholic communion dress holding a crucifix dagger! Unforgettable. I grew up on Alice, Sweet Alice…originally titled Communion. It made its world premiere in 1976 in Paterson. All my relatives were there. Many were extras in the movie. My Aunt Matilda stands out in the funeral scene. Both of my grandmothers were from Paterson and I was born in Paterson General Hospital. Visiting my relatives, I was in Paterson a lot. The movie perfectly captures the weird, melodramatic atmosphere…the ever-present Madonna and Child statues and religious iconography…eerie Italian Catholic guilt. UNK: And lastly, what would be your definition of a “successful” horror film? DANTE: A transcendent horror experience. Something, a movie that changes you, chemically, forever. You know which movies they are. It’s those horror films we all keep grabbing back for…Psycho… The Exorcist…Carrie… Halloween… Rosemary’s Baby… The Birds… Night of the Living Dead…The Omen…The Texas Chainsaw Massacre…Don’t Look Now… Suspiria… Deep Red…The Shining…The Evil Dead… Phantasm… Alien… Jaws… The Cabinet of Dr. Caligari…Friday the 13th… Nosferatu … The Entity…Creepshow…Mother’s Day…Play Misty For Me…Cujo…The Brotherhood of Satan…The Sentinel…The Pit and the Pendulum…Black Sunday…The Beyond…A Nightmare on Elm Street… Let’s Scare Jessica to Death…Tales from the Crypt… Maniac… Christine… Tourist Trap… Hellraiser….We keep watching them over and over again…on every format…until the end of time. UNK SEZ: Thanks again DANTE! Remember folks, keep your eye out for TORTURE CHAMBER at its official home base HERE! I am so excited to see Torture Chamber because I really enjoy Tomaselli’s movies and also because it’s got the kid who plays (or I should say played) Jack on One Life to Live. It’s like my two favorite worlds have collided. I’m very excited to see the movie for the filmmaker and the actor… What can I say, I’m a soap and horror FIEND! I love Alfred Sole as well. Pandemonium is fantastic and a favorite of mine. I told him so once and I’m not sure he believed me! Wha !?! You just rocked my world Amanda, I did not know Alfred Sole directed Pandemonium ! That is John’s favorite movie! Not only did I buy him Pandemonium lobby cards for his B-day but before Kindertrauma we were about to do a website called “House of Bad pies” named after Pandemonium. Check this out it’s STILL THERE….LOL…. Small world and yes, coolest family ever it seems. Dante was great to interview and if I could have gotten away with it I would have asked him eighty more questions. BTW, I’d just like to point out that the image of Carol Kane and the Banner for HOBP were made possible by me taking a picture of my TV with a polaroid camera. Oh my god Lance, you’ve got to do something with that. Hilarious! I’m a HUGE Debralee Scott fan as well. She’s so amazing in Pandemonium.